How do you get employees more engaged and excited about your products and solutions? - Try holding an internal expo. 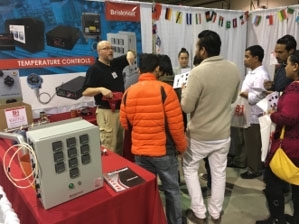 On February 1, 2018 BriskHeat held its first ever in-house trade show at its headquarters in Columbus, Ohio. The event was designed for the company’s employees to get a better sense of its many industry-leading products. 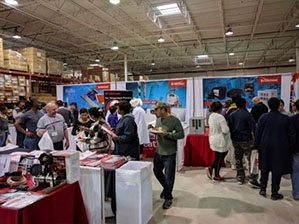 More than 250 employees attended BH Expo, which was planned and staffed by 50 members of the sales and marketing team. 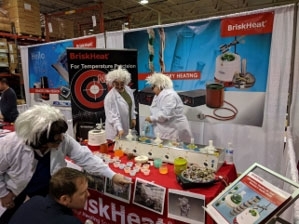 Each of 10 featured booths represented a product line or a geographical region where BriskHeat has sales offices around the world including China, Taiwan, France, and Germany. BriskHeat held the event as employees celebrate another year of record sales. In 2017, the company was named to the Inc. 5000 list of fastest-growing private companies in America.